Walking the Winds: American Tales tells seven American folk stories from varied cultures: Native American, Cajun American, Chinese-American, Mexican-American and African-American. The pieces range from the comic to the inspirational in this unusual blend of traditional storytelling and musical theatre. 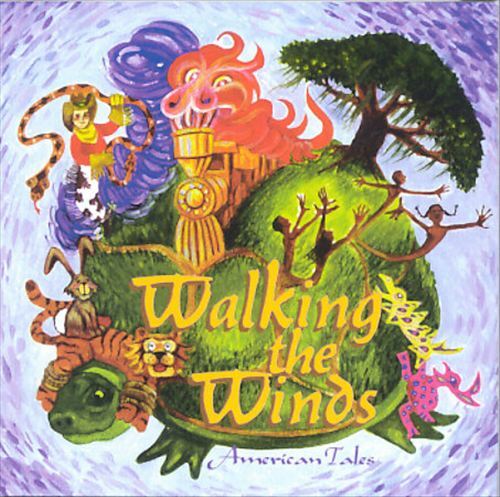 Walking the Winds: American Tales was commissioned and premiered in 1996 by the John F. Kennedy Center for the Performing Arts, under the direction of Deirdre Kelly Lavrakas, and toured around the DC area for two seasons. 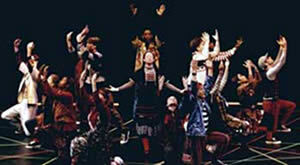 In 2000 it was performed at the Kennedy Center’s Millennium Stage to celebrate the CD release. It has since enjoyed numerous productions throughout the country. Audio demo features the voice talents of: Scott Leonard Fortune, Klaude Krannebitter, Debra Tidwell Peters, Stevie Peters, Andrew W. Smith, Lynn Sharp Spears, Lynne Streeter, Steven Tipton, Bonnie Waggoner, Gordon Waggoner, Tamarin K Ythier, and the composer. Music: Wide range of musical styles – from Cajun to Jarocho to Gospel – to fit within the cultural context of each story. Accompaniment tracks available. MARY HALL SURFACE (playwright) is an internationally-recognized playwright and director specializing in theatre for families. A member of the Washington, DC theatre community since 1989, she has had twelve productions at the Kennedy Center as well as at Arena Stage, the Folger Shakespeare Theatre, the National Gallery of Art and three projects with the National Symphony Orchestra. Internationally her work has been featured in productions and festivals in Germany, Canada, Japan, Peru, France, Taiwan, Sweden and Ireland. 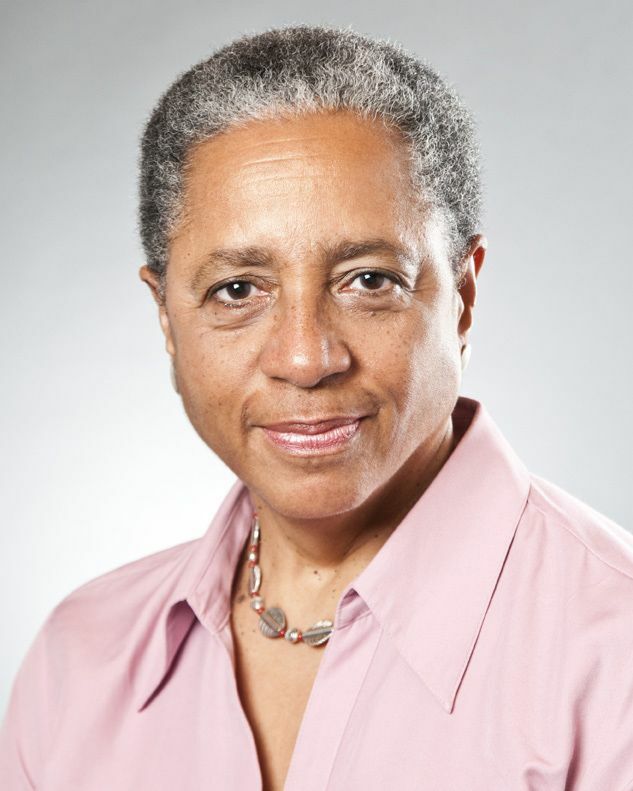 She has been nominated for five Helen Hays Awards for Outstanding Direction (receiving the 2002 award for Theatre of the First Amendment’s Perseus Bayou) and for four Charles MacArthur Awards for Outstanding New Play. Her plays are published by Dramatic Publishing, Anchorage Press and Samuel French, and original cast albums of her musicals have received Gold and Silver Parents’ Choice Awards. Smith and Kraus has published an anthology of five of her plays as well as two collections of scenes and monologues. 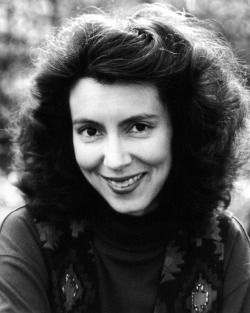 She has served on the board of the International Association of Theatre for Children and Youth, as the producer of a National Festival of American Theatre for Families at the Kennedy Center, as a National Endowment for the Arts on-site evaluator and theater panelist, and is the 2006 recipient of a lifetime achievement award for her playwriting from the American Alliance for Theatre and Education. Ms Surface resides in Washington with actor/sculptor Kevin Reese and their daughter Malinda. CALLEEN SINNETTE JENNINGS (playwright) is author of over 70 plays for adults and children. She is a winner of the 2002 Heideman Award from the Actors’ Theatre of Louisville. Her play Inns and Outswas a 1999 recipient of a $10,000 grant from the Kennedy Center Fund for New American Plays, and premiered at Washington D.C.’s Source Theatre. Her play, Playing Juliet/Casting Othello premiered at the Folger Elizabethan Theatre in 1998. Dramatic Publishing has published both plays, along with Sunday Dinner, and Free Like Br’er Rabbit (produced by Imagination Stage and featured at the 2000 New Visions/One World International Children’s Festival). Her plays Same But Different and A Lunch Line are published by New Plays, Inc. In 2002, Ms. Jennings was commissioned by Arena Stage to createDarker Circles, a new play for its District Views reading series. Ms. Jennings was also commissioned by the Bethesda Academy of Performing Arts to create two plays for its Wings Access-Ability performing company. Two of the plays, Ascension and Working Wings have been performed on Capitol Hill for members of Congress who work with disability advocacy. Ms. Jennings is a Professor of Theatre, and Director of the Theatre/Music Theatre Program at American University in Washington, DC. She is a member of the acting faculty for the Folger Library’s Teaching Shakespeare Institute. She is a two-time recipient of a meritorious directing award from the Kennedy Center American College Theatre Festival, and she is a two-time Helen Hayes Award nominee for the Charles MacArthur Award for Outstanding New Play. ERIC WILSON (playwright) received the Kennedy Center’s Lorraine Hansberry Playwrights Award through the American College Theatre Festival for Strands. Other plays include adaptations of Patricia and Frederick McKissack’s A Long Hard Journey and Deborah Hopkinson’s Sweet Clara and the Freedom Quilt. Mr. Wilson works extensively with St. Louis’s Historyonics Theatre Company and the Missouri Historical Society. With the MUNY Student Theatre, Mr. Wilson created Solid Gold, a musical which was featured at the Kennedy Center’s New Visions, New Voices Festival. Featuring the voice talents of: Scott Leonard Fortune, Klaude Krannebitter, Debra Tidwell Peters, Stevie Peters, Andrew W. Smith, Lynn Sharp Spears, Lynne Streeter, Steven Tipton, Bonnie Waggoner, Gordon Waggoner, Tamarin K Ythier, and the composer.